IN FLAMES - REROUTE TO REMAIN RE-ISSUE 2014 VINYL (LP BLACK) | Online Shop | Wizard LTD. 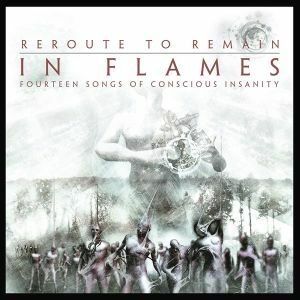 Album: "REROUTE TO REMAIN RE-ISSUE 2014 VINYL (LP BLACK)"
Century Media proudly present the third round of IN FLAMES’ classic back catalogue campaign covering the albums “Colony” (1999), “Clayman” (2000), “Reroute To Remain” (2002) and “Soundtrack To Your Escape” (2004). With such albums IN FLAMES evolved from their melodic death metal roots ultimately conquering a bigger audience and reaching new levels of international acclaim. Now, these albums are available again as a series of collectible Special Edition CD Digipaks (incl. bonus tracks) and on 180gr vinyl!